Tim Blakey created Primebody as a movement towards a better way to live; an all encompassing journey to help you feel in your prime. 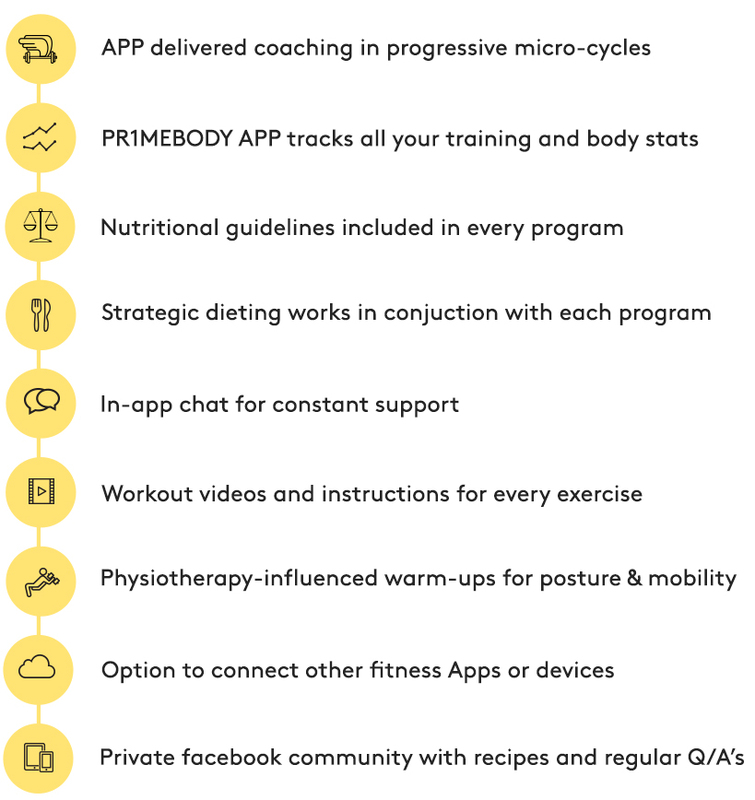 Focusing on training, nutrition, mobility and mindset, Primebody delivers app based coaching to take away the admin, lower the barriers to success whilst allowing you to own your health and fitness journey. By giving us your email address you will be subscribe to receive the 7 Golden rules download and join our month newsletter round up. We respect your privacy. Thanks for downloading my guide. It will arrive in your inbox in a short while (do check your spam if you can’t see it). If you have any questions about the downloads or about PR1MEBODY app delivered coaching feel free to send me an email hello@pr1mebody.com or contact me on FACEBOOK. I’m here to help! Thanks for joining the PRIMEBODY community. Watch out for the newsletter soon!